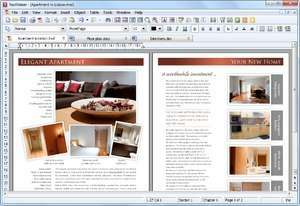 SoftMaker Office 2012 is a powerful full-featured friendly office suite that can replace the Microsoft Office suite. This software includes a word processor (TextMaker), a spreadsheet editor (PlanMaker), a presentation creator (SoftMaker Presentations) and a script editor (BasicMaker). This office suite is ideal both for home and for business users, it is compatible (reads and writes) with Microsoft Word, Excel and PowerPoint applications, has a fast working speed and a fully customizable interface. TextMaker, an advanced word processor which includes several predefined document templates, so users can create professional looking business cards, fax documents, letters, memos, phone and fax lists. SoftMaker Office 2016 is a shareware program and can be used as a demo to try the software until the free trial period has ended. A full version of the program is available after the trial period ends. For security reasons, you should also check out the SoftMaker Office download at LO4D.com which includes virus and malware tests. Additional screenshots of this application download may be available, too. SoftMaker Office has a presence on social networks.